Check- in is from 3 p.m.. - 6 p.m. / Checkout is by 11 a.m.
A former Victorian home that was built in 1893, the Cedar House Inn remains a lovely and gracious home-away-from-home for St. Augustine visitors. 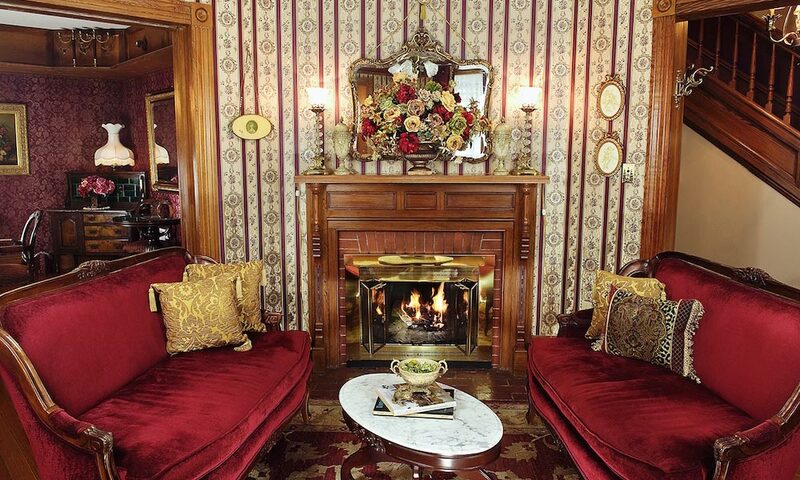 True to its heritage, this eight-room bed and breakfast combines the best of Old-World elegance with modern conveniences and unique St. Augustine style. 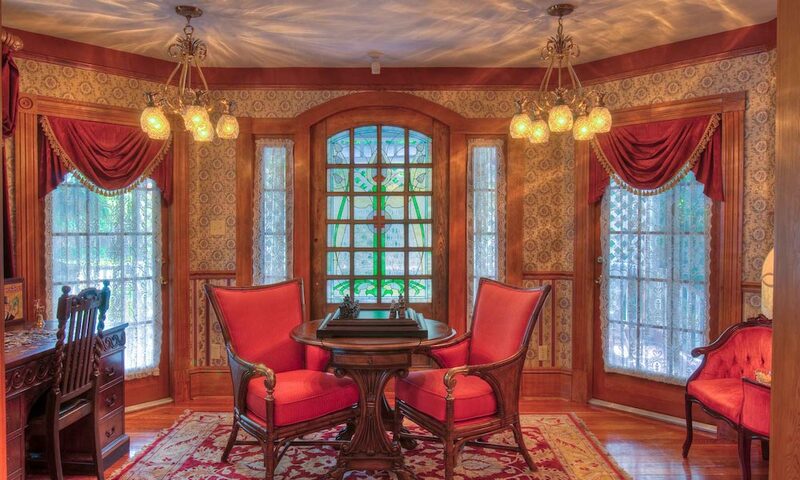 It was originally built as a private home and has served as a local B&B for more than two decades. With polished pine floors and 10-foot-high ceilings, the guestrooms are decorated to embrace the aesthetic of Old Florida, while giving guests every luxury and comfort during their stay. Each guestroom has a private bath with either a Jacuzzi tub/shower or a walk-in shower. The Inn’s wrap-around porch speaks of another time and place, with the white rocking chairs just begging to be lounged in. From the tiniest detail of guest service to the beautiful décor, the Cedar House Inn offers guests an exceptional vacation experience in every way. Two-course gourmet breakfasts are served every morning, with fresh-brewed coffee and fresh fruit along with the savory or sweet entrée of the day. Breakfast is served in the dining room either at private tables or at a table to accommodate guests traveling with a group. The Inn’s complimentary amenity package includes wine, port, bottled water, soft drinks, and freshly baked goodies. There’s even an old-fashioned game room, equipped with chess, checkers, puzzles and board games, and private parking is available onsite. 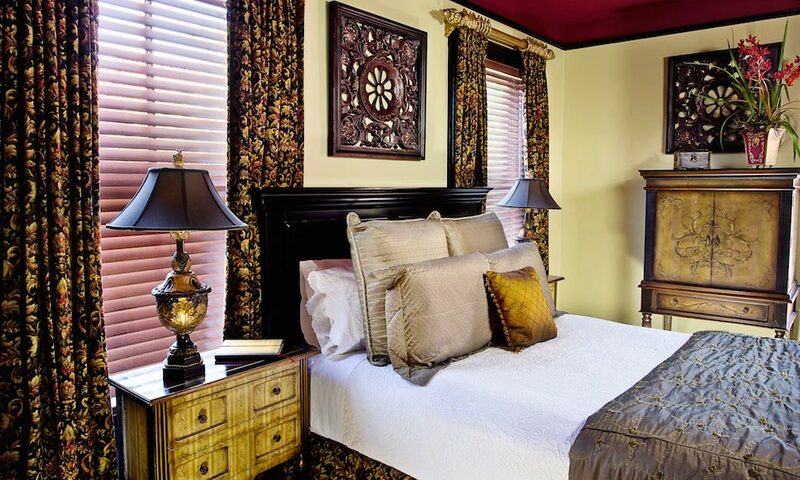 This is a premier bed and breakfast, located in the heart of St. Augustine’s historic district on a quiet tree-lined street just steps away from museums, shopping, dining and the other unique attractions that make St. Augustine such a popular destination for romantic getaways. An unprecedented accomplishment, Cedar House Inn has been awarded the prestigious TripAdvisor Travelers’ Choice Award ranking #1 Bed and Breakfast in the US for both 2017 and 2018. 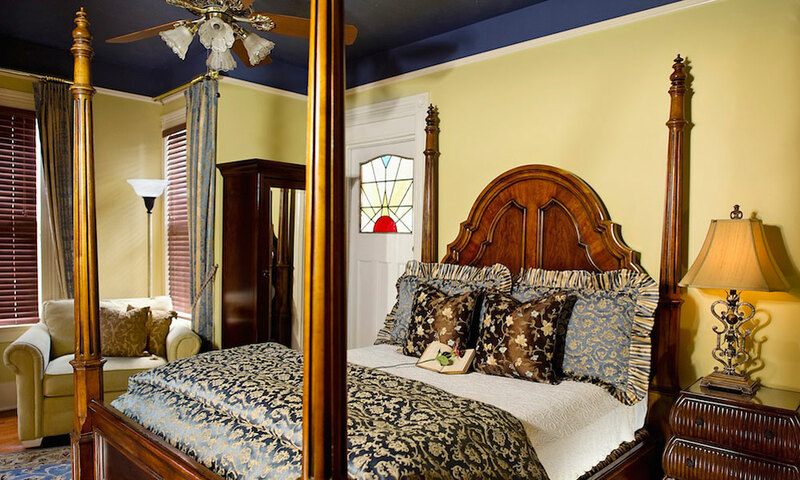 In addition, the inn was voted Best Bed and Breakfast in St. Augustine 2008–2016 by the St. Augustine Record. The Cedar House Inn is a proven winner in providing St. Augustine visitors with the impeccable courtesy and service one expects from the finest inns in the country. Check in is from 3 p.m. to 6 p.m. Check out is at 11 a.m.
Each room features either a King or Queen bed, a private bath with Jacuzzi or walk-in shower, a flat-screen TV with DVD player, bath robes, a blow dryer and an ironing board and iron, as well as Wi-Fi high-speed Internet access. Be the first to Review Cedar House Inn!